(L-R) Stephanie Hamilton, Terry Fortson, Tara Robinson, Ilonia Renee Mitchell, Paul Taylor, Charles Gilyard, Freddie Gilyard, Doris Thomas, Jesu Fox, Victoria Washington, Vincent Williams and Atty. Bonzo Reddick. 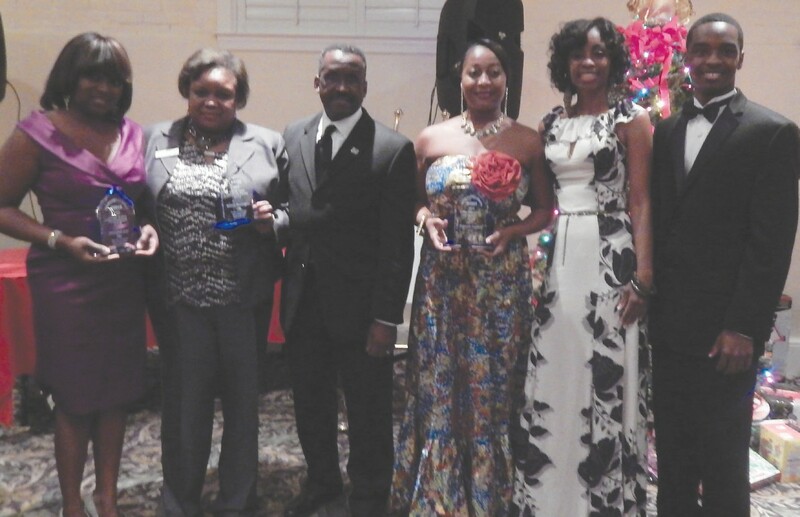 The Savannah Association of Realtists, Inc., the local affiliate of the National Association of Real Estate Brokers held their Annual Customer Appreciation Holiday Gala last Friday evening at the Staybridge Suites. During the Gala, Attorney Member Bonzo Reddick installed new officers and members. The officers are: Charles Gilyard, President; Sabriya Scott, Vice President; Doris Thomas, Treasurer; Vincent Williams, Secretary and Reggie Gadson, Parliamentarian. New members included Freddie Gilyard, Michelle Thomas-Davis and Vincent Williams. real estate trade association in America. It was established in July 1947 by 12 pioneers. One woman and eleven men from 7 states across the country met in Tampa, Fla to form the NAREB. The organization’s founding principal is that all citizens have the right to equal housing opportunities regardless of race, creed, or color. NAREB operates under a constitution and by-laws dedicated to preserving this right for all Americans. The Savannah Association of Realtists, Inc (SAOR) is the local affiliate of the National Association of Real Estate Brokers, Inc (NAREB). In 1956, a group of African American real estate professionals organized a locate affiliate. The members were John W. Lyons, Earl F. Thornton,m Louis B. Toomer, Clarence Perkins and Alfonso Fields. The Savannah affiliate was named Forest City Real Estate Board. Toys were donated by attendees and donated to the Frank Callen Boys and Girls Club. A delicious catered dinner and dancing was enjoyed by everyone. For more information on the NAREB please contact Mr. Charles Gilyard at (912) 659-2249.